As a kid, Easter was always my favorite holiday. Perhaps it's because I used to love the challenge of Easter egg hunts (they were so much more exhilarating than simply walking downstairs and finding presents under a tree), or maybe it's because I've always had a thing for pastels. Regardless, I still get pretty excited about Easter as an adult. Aside from the excessive chocolate, an excuse to brunch all day, and shamelessly drenching myself in preppy pastels, some of my most memorable trips with my mom have been during my Easter breaks - also known as Semana Santa here in Spain. 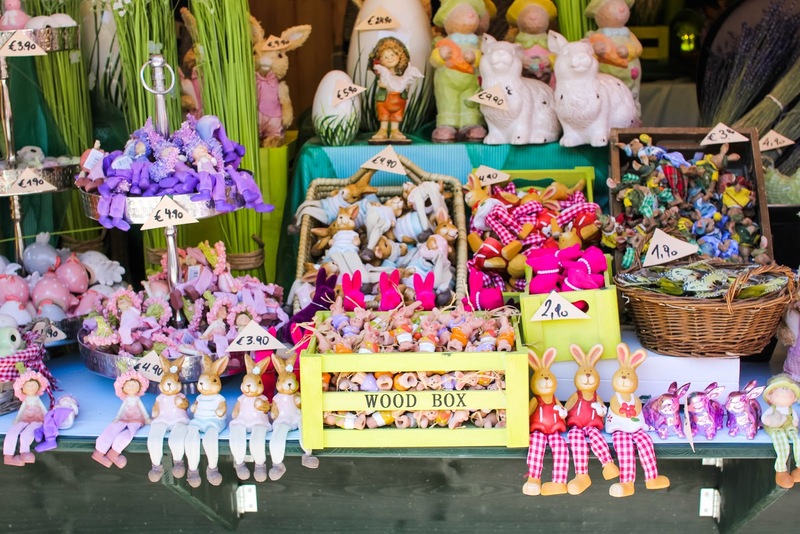 While I have yet to see a real European Christmas market (because let's be real: Madrid's pathetic excuse for a Christmas market in Plaza Mayor does not count), I have seen enough darling European Easter markets to last a lifetime. Prague's Easter markets in Old Town Square surely captivated me, but Vienna's whimsical markets truly made me feel like a kid again. Wandering through the Easter markets of Vienna is one of my fondest memories of last year's trip to Central Europe with my mom. While all other Easters will likely pale in comparison, I can't help but smile every time I think of our adventures together. 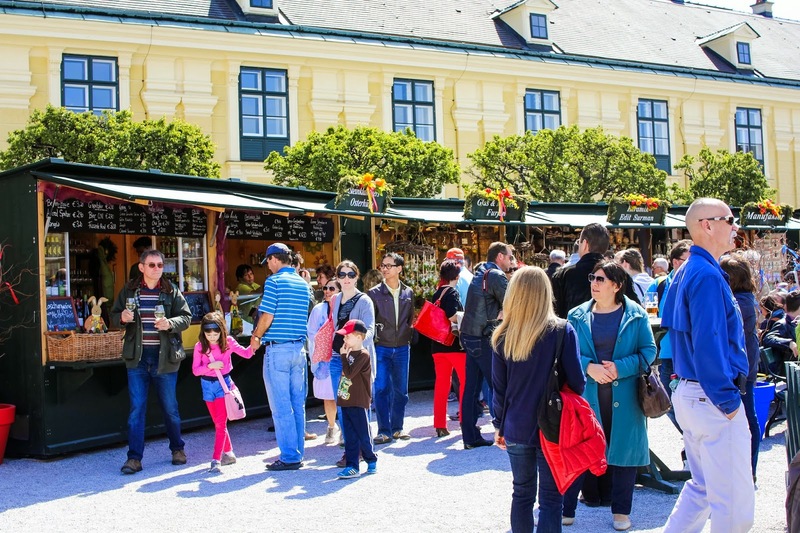 This year, there are several different Easter markets scattered throughout Vienna. 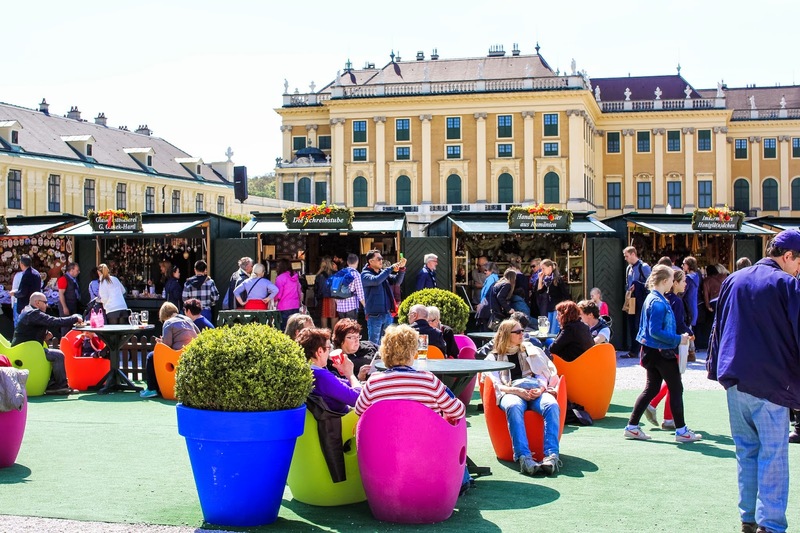 While my favorite is the Ostermarkt at Schönbrunn Palace, the city's other picturesque markets are definitely worth visiting as well. 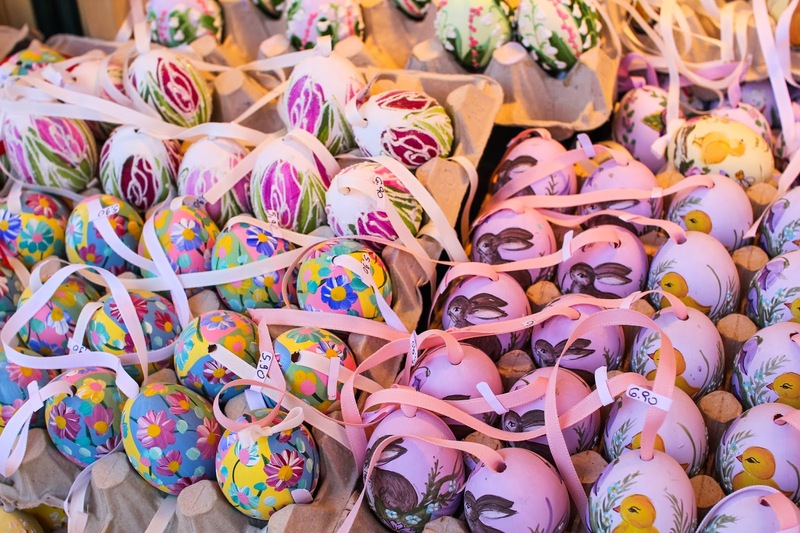 43 comments on "Easter Markets in Vienna"
I'm the opposite - I've been to many a European Christmas market, but never an Easter market! (And I admittedly didn't really realize they were a thing until reading your post!) They look lovely - all of your egg photos are gorgeous! 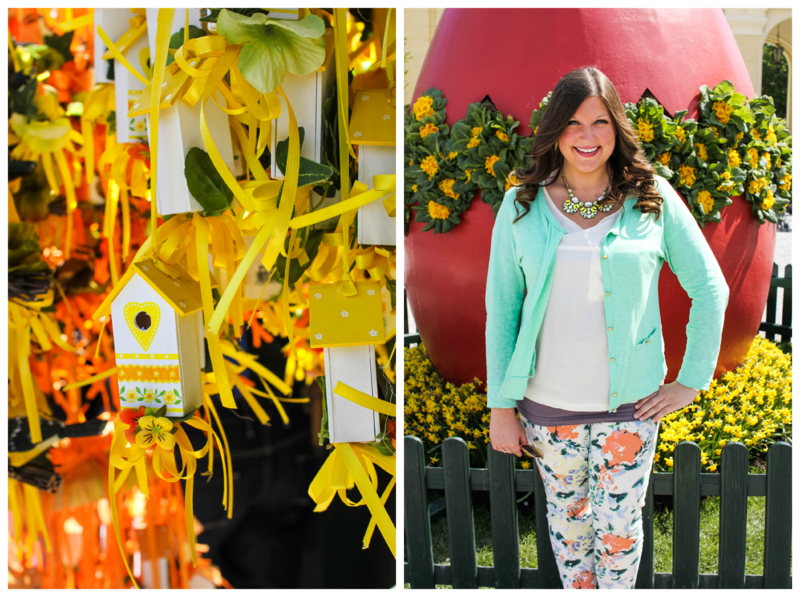 And I love your perfect spring outfit :-) I would love to go to an Easter market one day! Looks like the markets were wonderful last year! I was in Vienna on Easter two years ago which was the coldest, windiest Easter I've ever experienced in my life... it rain/snowed and the poor people working at the stalls were shivering. But with better weather, it makes for a wonderful Easter weekend getaway! I'm such a sucker for the word market. I will pretty much anything and everything including the food! 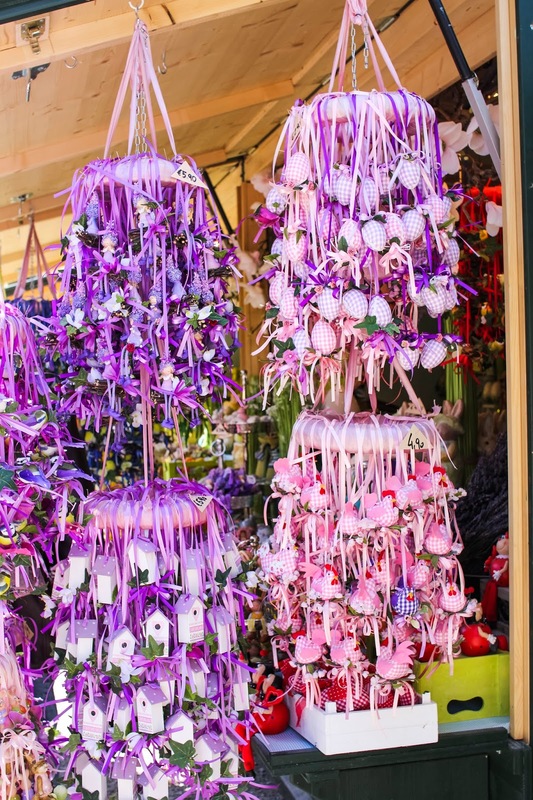 I wish Italy had an easter market (all though my spring budget is probably better without it!). Wow this is BEAUTIFUL! 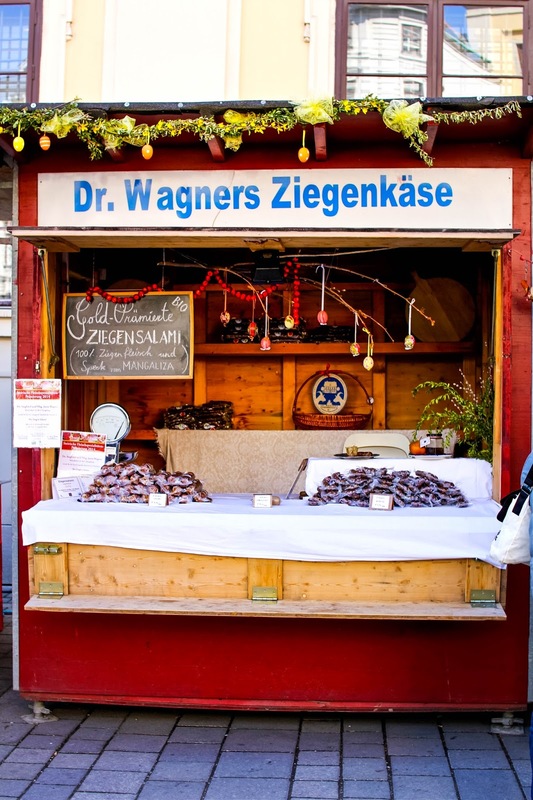 I'd love to visit a Vienna market some time-- it looks so bright and festive! Oh no, that sounds miserable! I probably wouldn't have thought they were very charming if I had seen them in bad weather. Thankfully, we really lucked out! However, earlier that week we got hailed on at one of the Easter markets in Prague. I feel cold just thinking about it! Same here! Markets are my favorite places to visit when I travel. I'm shamelessly obsessed! Do you have any favorites in Italy? Me neither, until I went to Prague and Vienna! Now I just gotta step up my European Christmas market game :) I bet your family's Scandinavian decorations are lovely!! Oh my goodness. I have never seen such beautiful and dedicated painted Easter eggs!!! I spy ones with a little brown bunny <3!! I didn't know Easter was this huge of a deal in Europe! I would love to be there one year! Ooh, I'd love to see these! 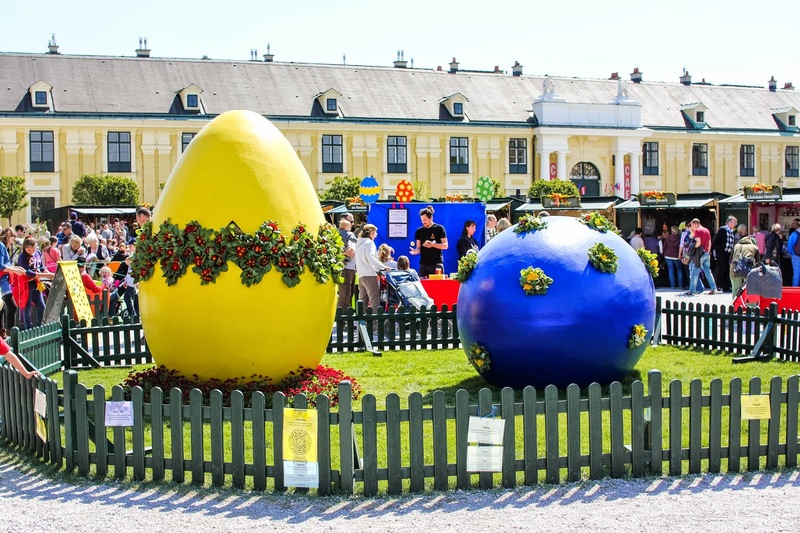 By the way, I'm putting together a collaboration post right now about Easter around the world, so let me know if you'd like to contribute a post about Vienna (or anywhere!) for it! 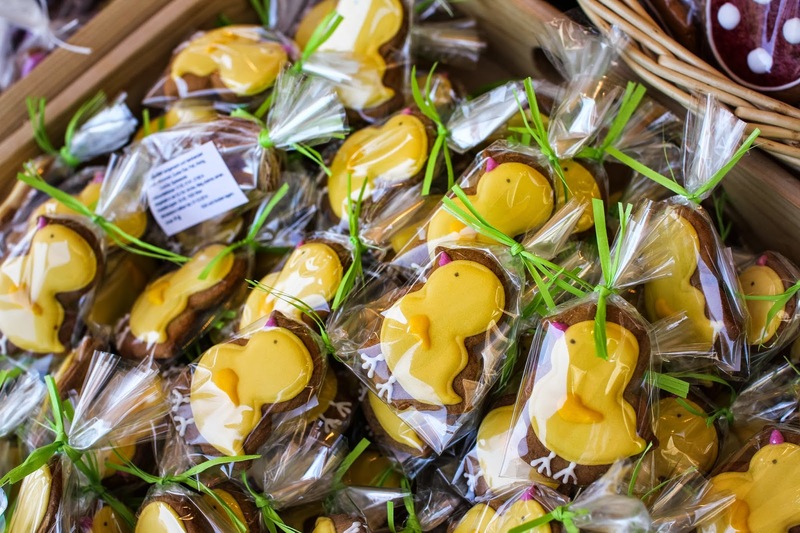 I had no idea that Easter markets were a thing! I can't say I'm surprised as Vienna pretty much just kills it with the markets! This looks absolutely magical and how special that you were able to share it with your mom! Miss you chica!!!! I have never visited an Easter market, #ShameOnMe! but I love your pictures and would love to goo! Talk about eye candy! I'd love to visit Vienna at Easter! How cool! I didn't even know Easter markets were a thing! 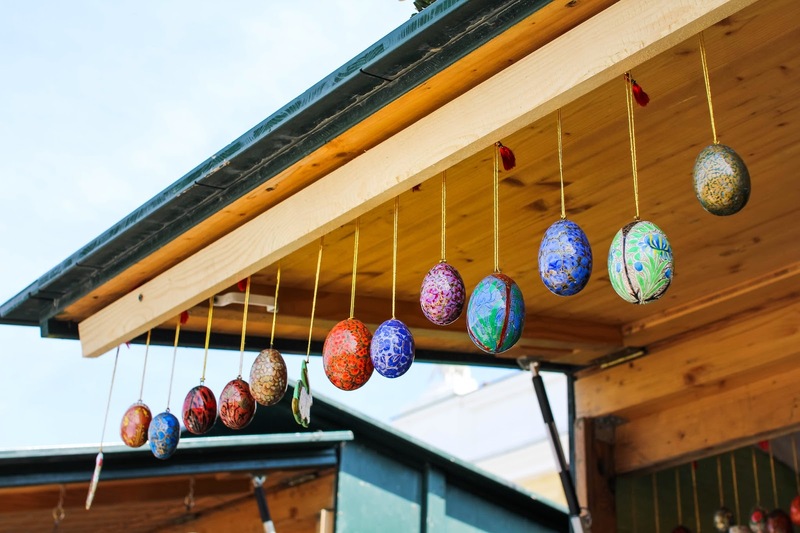 I've never been too crazy about Easter (aside from the hunts as a kid) but I would love to check out one of these markets one day. Yes! In Sardinia there is a place called San Panteleo http://wp.me/p4xG0Y-dq (post I.did) that's market is the way every market in Italy should be. I'm still dreaming of plates I founded there. I love the eggs in all your photos! I visited Austria once and collected a whole slew to bring back as gifts for others. They are all just so unique and fun! 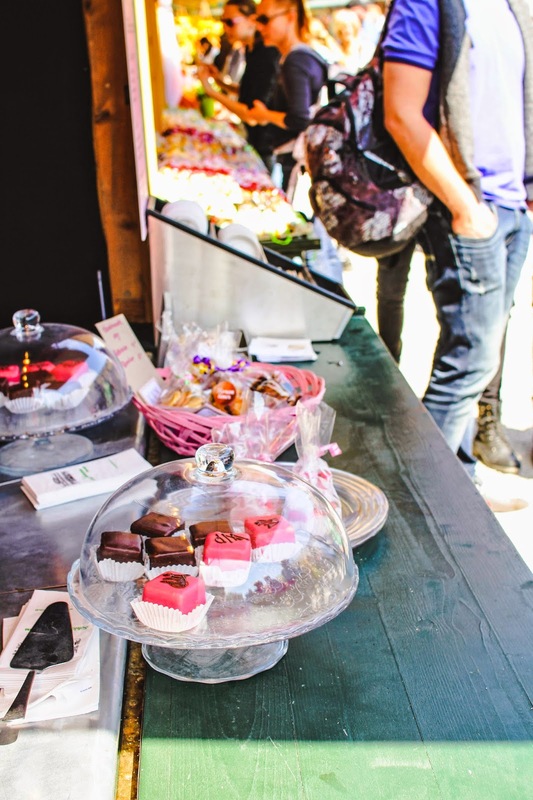 I would love to go to a full out Easter market! Looks amazing! I didn't even know Easter markets existed! All the eggs are so pretty, I'd probably end up buying all of them. I notice they have little loops, like a Christmas ornament would have. Are they hung up on a tree? Markets in Vienna are incredible - I love all the colors in your photos! omg this is wonderful! If this is the Easter market, I can't imagine what the CHRISTMAS market must be like.....I'm smiling just thinking about it! 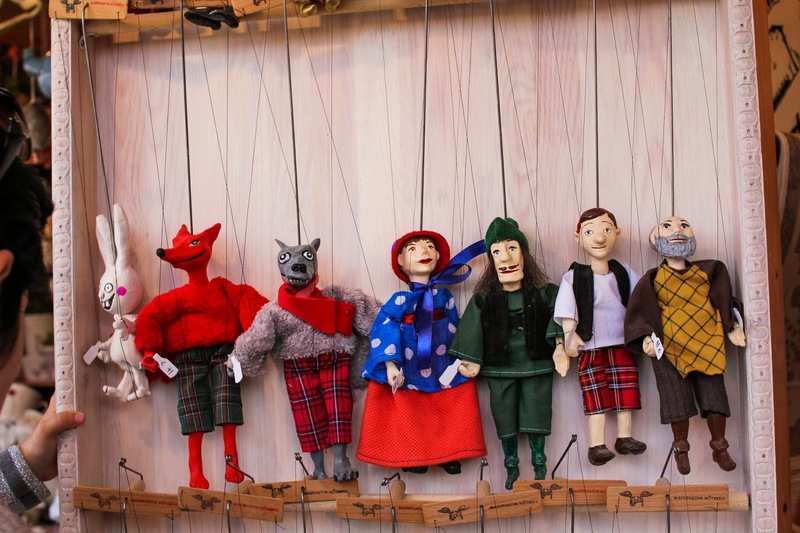 This looks so precious though...the colors, the sunshine, the puppets! How fun! I had no idea it was so big either! What a pleasant surprise though. It makes me want to visit a European Christmas market that much more!! That sounds so cool! I wish I had time to - I'm going to the Canaries on Friday and have a million things to do before then! But I can't wait to read the series! They really do, don't they! 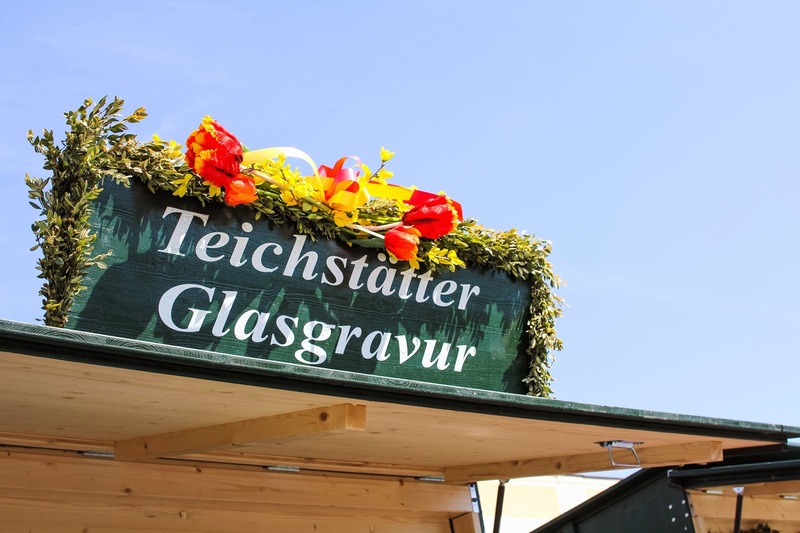 Did you go to the Naschmarkt too? Amazing! It was definitely magical! I'm sure it's even more stunning at Christmastime too! I didn't even know they existed before visiting Prague and Vienna! But they were certainly a charming surprise :) I can't recommend the experience enough! I can understand, I definitely had to restrain myself when shopping for souvenirs there! Everything was just too darling. It took some serious restraint not to buy all of them! I'm not sure where you are supposed to hang them though. Maybe a stand of some sort? Knowing the Austrians, I'm sure they invented something super efficient that I'm just not aware of yet. Haha. Exactly! Now I want to visit Vienna in December that much more!! I'm sure it's twice as epic. I haven't seen any in hamburg, or Kaiserslautern for that matter. OK, I have to number off what's happening here. 1) I HAD NO IDEA THERE WERE EASTER MARKETS. ANYWHERE. Definitely haven't seen them in Paris. 2) DYING to go to Vienna. Now I have to go to Vienna over Easter someday. 3) Madrid's Christmas markets are a bit thin, you're spot on with that. 5) Excellent rainbow photos, as always! 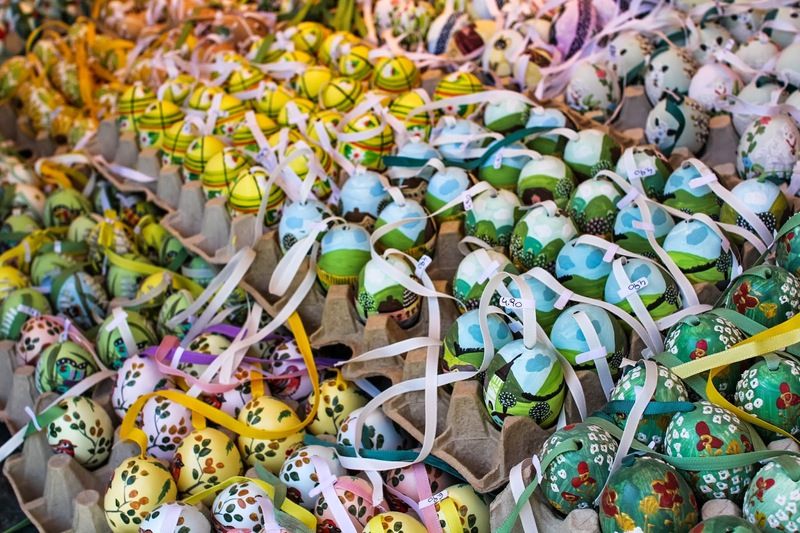 Like a bunch of others have said, I totally didn't realize Easter markets were a thing! I've always wanted to go to Europe at Christmas to see the Christmas markets, but this sounds so fun too. Love how colorful your photos are! 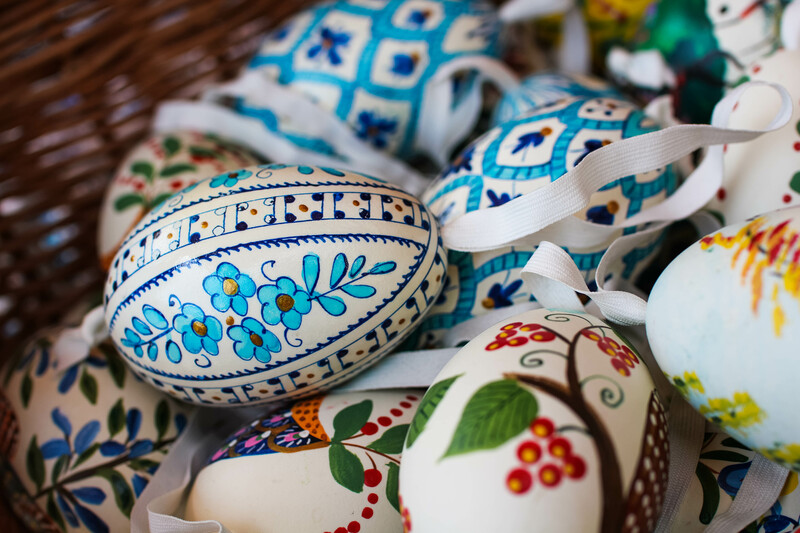 Gorgeous photos as usual, and Easter markets sound awesome! Beautiful photos - especially the first. 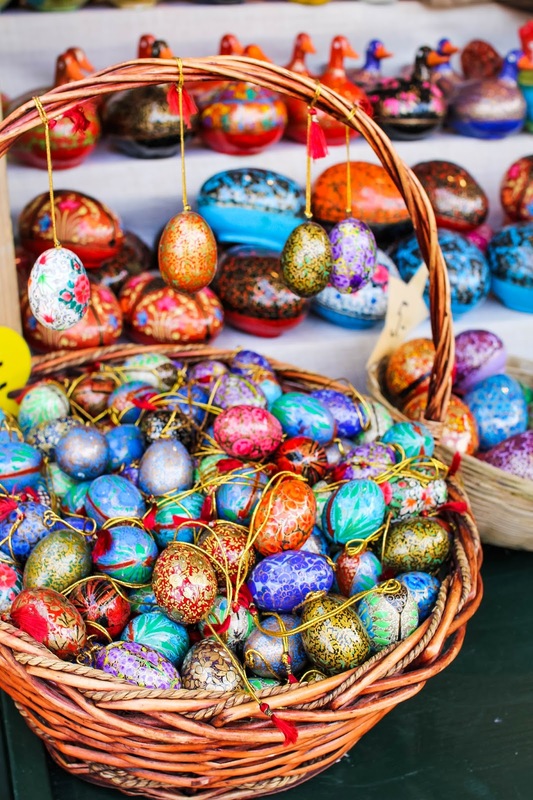 I didn't realise that easter markets were a thing either, I would totally go to one! No worries -- enjoy your trip! The post is now live, by the way. Thanks Holly :) I'd love to go back to an Easter market again someday! Although now I'm that much more curious about European Christmas markets! Oh no, you're just missing them! But thankfully Vienna is magical no matter the time of year :) I really miss it there!